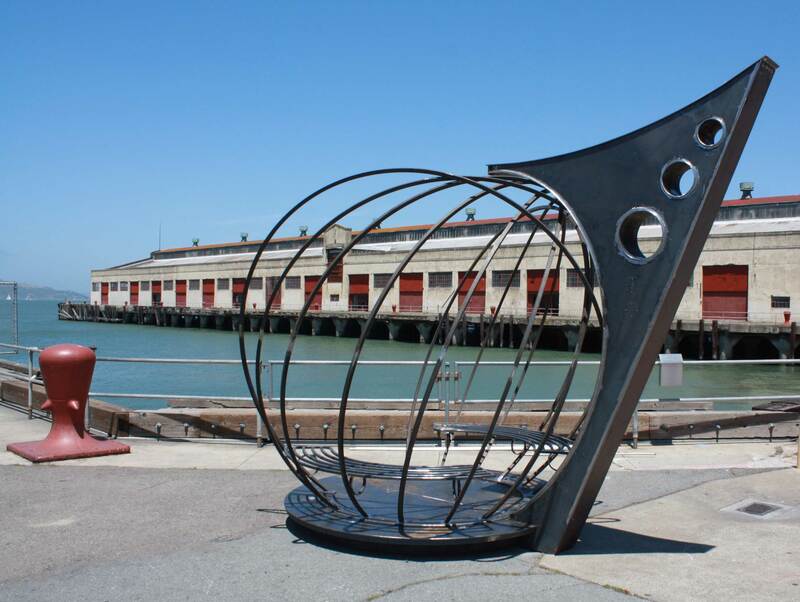 This multisensory work is a collaboration between Arup SF’s acoustic and lighting teams and Jefferson Mack Metal, which is now on display at Fort Mason Center in San Francisco, CA. This installation is part of SEAT, an exhibition by 41 artists curated by Topher Delaney’s Seam Studio. Sent Forth is conceived as a time-travelling airship which has been collecting audio recordings of San Francisco across the centuries. Recently, the airship has become stuck at Fort Mason Center. As it attempts to revive itself, visitors will hear fragments of soundscapes (collected by means of fictional acoustic archeology) revealing histories of the area, both composed by the malfunctioning ship and influenced by the surrounding environment. I composed the sound component of this piece, which is produced by a unique ‘Solid-Drive’ sound system that relies on the shape and materiality of the artwork to make sound. Effectively, the large stylized steel plates act as loudspeakers. Being that the remainder of the sculpture is also steel, low tones resonate through its entire structure, creating a nice haptic element to the piece. I was also responsible for all the control programming, which includes having input data from onsite weather sensors choreograph changes in light and sound. 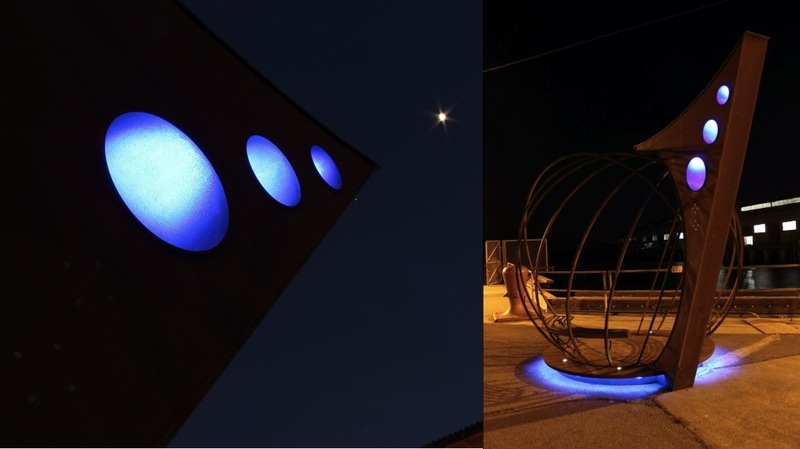 The piece is also scheduled to activate a beautiful LED array (courtesy of Toby Lewis) at sundown everyday. The brain of the sculpture is Arduino + Max/MSP-based. The physical design and fabrication is the work of Jefferson Mack, artist, blacksmith and master metalworker, who collaborated with Arup in its development.